The ACR1252U is a new, firmware upgradeable NFC reader that allows you to read and write NFC tags faster than ever before using free software. This future-proof NFC reader has the fastest manual encoding speeds and a greater reading range than the ACR122U and has the same flat surface makes it easy to place an NFC tag on top of to read and write NFC tags. It has a SAM slot for enhanced security and can be used for card emulation and Peer-to-Peer communication (communication with most NFC-enabled mobile phones). It has three controllable LEDs that can be programmed to notify you when a tag is in field, being written or read. This reader allows you to read NFC tags, perform tag actions, and integrate with applications. 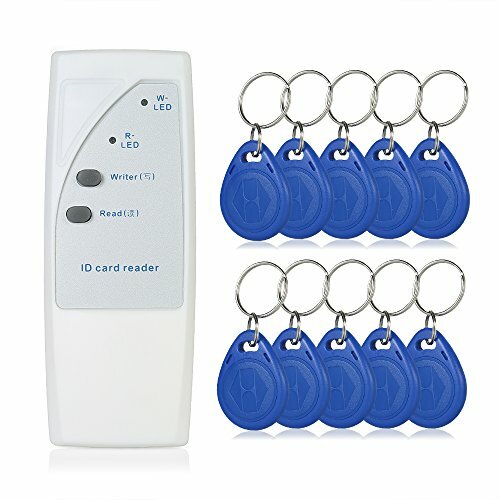 Widely used in entrance guard, consumption, hotel lock, water meter, electricity meter and gas meter and a series of IC card management application system.